The law firm of Stroock and Stroock and Lavan is one of the oldest firms in the country, and is headquartered in New York. Stroock & Stroock & Lavan LLP specializes in corporate law, and is best known for representing clients in financial matters. The firm was founded in 1876, and has maintained offices in Boston and Budapest over the years. Currently, in addition to its two locations in New York, the firm also has offices in Los Angeles, California and Miami, Florida. These strategically position offices allow the attorneys at Stroock and Stroock and Lavan to represent clients all over the nation. Since its foundation more than 125 years ago, the firm has maintained its commitment to the highest possible standards of services, and pursuing its clients’ goals aggressively in order to achieve favorable outcomes. Over the years, Stroock and Stroock and Lavan has represented some of the largest financial institutions and corporations in the country in several landmark cases. Most recently, 18 of the firm’s lawyers were selected among the 2012 Best Lawyers in America, in the areas of Banking and Finance Law, Bankruptcy and Reorganization, and Commercial Litigation. Stroock & Stroock & Lavan has also been recognized as one of the Annual Chambers USA Law Firms, “Law Firm of the Year”, and “Top 100 Law Firms for Diversity”. Some of the firm’s other achievements include attorneys being names as “Top Woman Litigator”, “Top Women in Real Estate”, and “Power Lawyers”. The extensive pro-bono work carried out by the attorneys has earned the firm the National Public Service Award, and the Jeremy G. Epstein Award for Pro Bono Service. As part of its commitment to public interest, the firm started a Public Service Project in 2011, aimed at providing pro bono services, advocacy and legal assistance to clients from the under-privileged communities of New York City. The firm’s litigators, at the top of their fields, possess ample experience in a wide range of practice areas, and their unmatchable record speaks for itself. With well over a century of legal experience, unparalleled expertise in litigation, and a team of more than 750 employees, the firm of Stroock and Stroock and Lavan is the go-to place for all types of legal matters. Q:Stroock Stroock Lavan law firm has attorneys working in which major areas?  A:Stroock Stroock Lavan law firm is a leading firm in the US. It has teams of attorneys working in many practice areas. They provide clients with various legal services in the following practice areas: tax law, real estate law, litigation, intellectual property law, government relations law, financial service litigation, financial restructuring law, entertainment law, environmental law, employment law, employee benefits law, energy and project management law, and corporate law. Q:Can you name some attorneys working in the area of employment law at Stroock & Stroock & Lavan LLP? A:There are a number of attorneys who have specialized in employment law at Stroock & Stroock & Lavan LLP. They have dedicated their career to helping people with legal issues regarding employment and the workplace. Some of the employment attorney's have been listed here: Bernard, James L; DiMechele, Elizabeth E; Klinger, Alan M; Lavin, Howard S; Loftus, John R; and Norton, Beth A.